Chia-Chien Goh holds a doctorate in violin performance. His past experiences in teaching and coaching have influenced him to pursue an occupation in the pedagogical side of music. 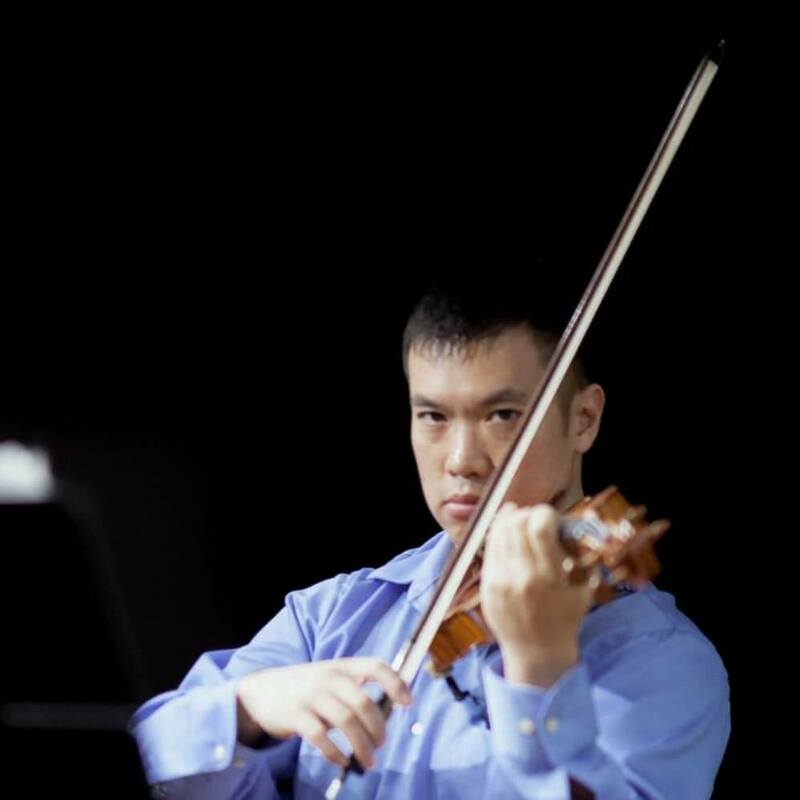 In 1998, he founded the Kampung Strings Chamber Orchestra to train young, local Malaysian musicians aged 12 to 26 in a chamber orchestra setting with many of the violin students in the program under his private instruction. Mr. Goh coached and performed with this group extensively. In 2007, all five winners of the HSBC International Strings Competition held in Malaysia were former Kampung Strings members. After he left Malaysia, the Kampung Strings Chamber Orchestra was transformed into the Malaysian Philharmonic Youth Orchestra. At the age of 22, Chia-Chien was the youngest founding member of the Malaysian Philharmonic Orchestra. He enjoyed performing with my colleague from the Maud Powell Music Festival, Daniella Carvalho, in Weill Hall, Carnegie Hall on a rarely performed piece by Villa-Lobos. He has also completed two solo performances and a recording of the complete solo violin works of Heinrich Wilhelm Ernst including the Grand Caprice Solo Violin Transcription of Schubert’s Der Erlkonig and the 24 Caprices by Niccolo Paganini. One of his greatest joys is to add to the brilliant repertoire available to the violinists of today and tomorrow. Some of the wonderful new works he has performed or recorded are White Tiger by Jerry Hui, For Two by Gary Powell Nash with Martha Saywell Carson, and Cinematic Dreams by Hollywood composer, Corey Wallace. Some of the less well-known gems he has had the pleasure of performing are wonderful works such as Le Boeuf sur le Toit by Darius Milhaud and the Concerto for Violin op.24 by acclaimed film composer, Miklo Rozsa, for his centennial celebration.